I grabbed this photo from my Information School’s 75th anniversary website. Which I designed. A long time ago. Before I discovered that flexible CSS-layouts make everyone’s lives better. Anyway, I love these librarians. 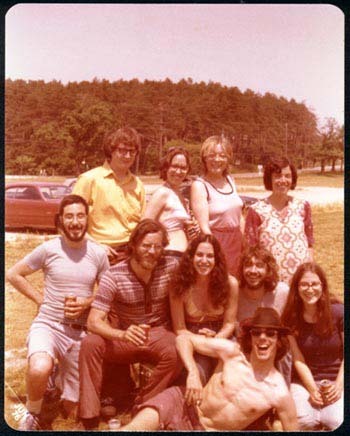 The photo was from the “campus life” section, and I’ve just got to say: If you are in this photo or know someone who is, please let me buy you a Schlitz. Because that’s what they’re drinking. I know this through the magic of Photoshop. So is it just me or was library school more fun back then? My classmates drank, don’t get me wrong, but we did it in a more serious, social-reform sort of way. You know, Mojitos and Cosmopolitans. These guys look like they just grabbed a case of beer after Intro to Cataloging and went to town. I graduated from library school (Emporia,KS) in 1975…and even though our club there (Elsie Pine Library Club…duh!) was vibrant, we sure didn’t party like these guys. Also, being the only guy and gay in a class of women did make it a problem!! I do believe I know the fellow with the beard in the horizontal-striped shirt. He used to be director of the library at the Medical College of Virginia, then later took a job at Oklahoma State. The cocktail pretty much went with him. I went to U Mich in the 1980s and many of my classmates were married women going to school part-time. They weren’t exactly party animals. The singles were a fairly repressed bunch and also not much into partying. The class that started as I was finishing up seemed like they were more fun. Where I’m working now there is a group of us who go out for drinks regularly. It’s apparently a matter of which group of librarian you find yourself with. Love that pic tho. Wish i had the hair i had back then. Catholic or not doesn’t seem to have much to do with it. Drexel in the 90s — pretty tame, too. Night classes in Philly didn’t generate a lot of after-class hangin’ out anyway except for those with an appetite for danger– not a large cohort among the library crowd. We acctually had a bit of alcohol before catalogging. But that was only at the last class, it also was cocktails but that was only because Trader Vic’s had $5 Mai Tai’s that knocked you out. Ah. Library school. Library. School. *sigh* Didn’t we design an organizational system of many pleasures, many delights? Didn’t we control our vocabulary of feeling good, and automate the retrieval of happy information? Yes. This we did. At the University of Illinois in the mid-70s the preferred beverage was Stroh’s in long-neck bottles (returnables, in the days before deposits). I could be the 2nd from the left in the front row, except I have never been in Ann Arbor. However, I did meet my wife at a library school (off-campus) Halloween Party. Yes, she is a librarian, too. We were set up. Married 30 years in September! Unfortunately, most of my classes at “Library School” were on-line, even though I worked at and lived a few miles from the university where the school was located! So, no beer parties. Although after our Research Methods class was finished, the few of us who were local went out to the local pub to celebrate getting through it. That’s a riot! While I’m unfortunately not in that photo – having gone to the “old” Univ of Denver Library School (as opposed to the reconstituted one now in existence) in the early 1970s – I definitely have numerous photos like this in my photo album. I have to say, though, that my undergrad years (late ’60s/early ’70s) were definitely more party-animal times (let’s hear it for the Animal House!!!) than when I was in library school. I had more bills to pay, for one thing. Thanks for the memories, though!! Was wonderful to see you at Confusion, had a great time dancing, too. Hope it isn’t this long, again, before next time. Your *mom* said they were uptight? That says either something very bad about your friends, or something very good about your mom. We obviously didn’t have enough fun at my school – I can’t recall any such scenes taking place (though I can’t say the same for my undergrad years). However, I did have a party for my library school friends (my mom said, “Oh my God, these people are uptight!”), and one of them got REALLY drunk standing in my kitchen, arguing politics with an uninvited neighbor – good times…. I think at least a few of them spent a few minutes passing around a joint in that red Pinto back there. The shirtless guy in the front? Come on. My class is Spain was quite sad, loads of “Library rats” with cardigans that loved to have fun once a term. All together and having a beer and a half each max. Sigh!! However, there were also a few librarians-to-be (most of them became archivists really, oddly enough)who really rocked! Hey David – don’t worry about the UWO Grad Club. FIMS is now admitting upwards to 70 students a term and the new building isn’t big enough for everyone so there are still plenty of classes in Middlesex. I’m currently in Sheffield UK doing the course and there seems very much to be two camps. There are the more mature students and some of the younger ones who go to lectures, go to the library, and work like mad. But the rest of us definitely belong in that photo. We’ve got WIPSOC (Wanna Information Professionals Society), which basically involves lots of pubs. And we so haven’t got the money for cocktails! 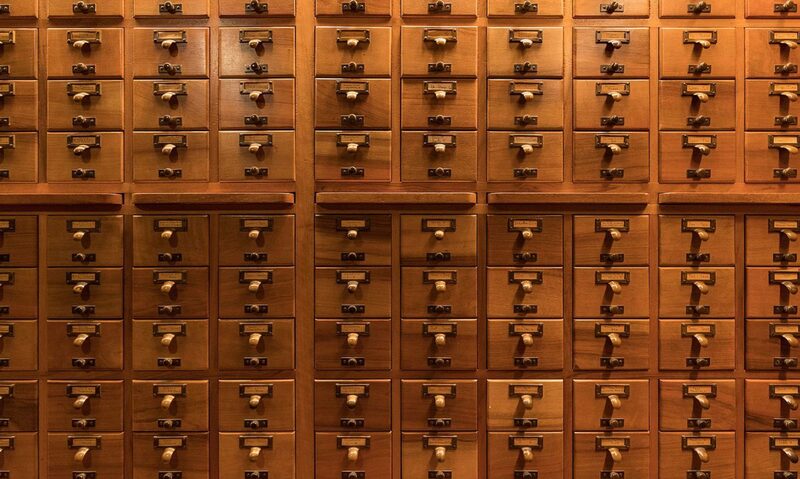 I did my stint in library school at the fabulous UT Austin where I formed The Cataloger’s Club. We never cataloged anything (mostly because I was the only cataloger); we just met at the bar down the street 3-4 times a week. Good times. At Llanbadarn Fawr in Aberystwyth my room in halls was 20 metres from the bar, 150 metres from the lecture theatre and 75 metres from the Library of Librarianship. That was six months where my diet consisted of 8 pints of beer a day, 1 solid meal a week, and no more than fifteen (total) visits to the library. I drank my life’s ration of alcohol in that time period. Heck, I would need a case of beer after intro to cataloguing haha. But I think your observation is right. From what I remember of my school, most drinking get togethers were pretty “serious” affairs. There is something to be said for the casual gathering. I was just to post almost the same thing as David. However, it only takes barely a minute to run across the street to the pub from the new building and we most definitely popped over after/before/between classes (but yeah class breaks – not so much). Up until just a couple of years ago, my alma mater (U. Western Ontario) library school was in the same building as the grad club. I can assure you that dashing down the hall for a quick one during the mid-class break was a well-established tradition. Now the school’s moved into a new building, across the street. But I bet that the grad club lost a lot of mid-week business when it happened.